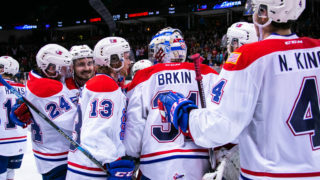 The Spokane Chiefs’ 2018-19 promotional schedule has been officially unveiled, including a full lineup of popular fan-favorite promotions, giveaways and special events. 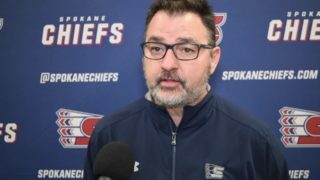 The Chiefs’ home schedule begins Saturday, September 29 versus the Kootenay ICE with Bud Light Opening Night & Pre-Game Party at Spokane Arena. On deck for this year are six Buck Nights, three themed jersey nights, a bobblehead giveaway and much, much more. 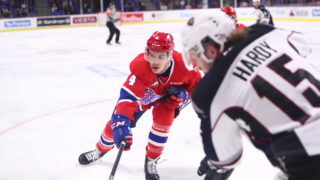 Tickets for the 2018-19 regular season are on sale now via the Chiefs’ Ticket Office, over the phone at 509-535-PUCK and online at spokanechiefs.com. Cost-saving ticket packages start as low as $70 and group rates begin with as few as 10 people. Single game tickets are also available via TicketsWest and online here. The full 2018-19 promotional schedule is available here. 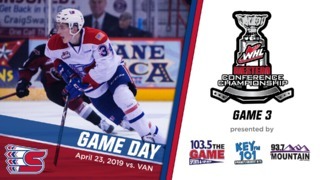 Bud Light Opening Night & Pre-Game Party will kick the season off in style at Spokane Arena, with pre-game festivities beginning outside the Arena at 4 p.m. Enjoy food, drink, live music and family fun outside the main gates. Meet the team and get autographs as they “walk the red carpet” just after 5 p.m. The eighth annual Leinenkugel’s HOCKtoberfest & Leavenworth Trip Giveaway returns on Saturday Oct. 27 versus the Tri-City Americans, with a pre-game Bavarian-themed party inside the Arena beginning at 4 p.m. 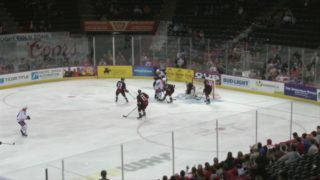 Entry for the trip giveaway will be available at spokanechiefs.com later this month. Fred Meyer will hand one fan a $1,000 shopping spree with Fred Meyer Shop with the Chiefs Night on Saturday, Nov. 17, followed by the Itron Team Poster Giveaway & Full-Team Post-Game Autographs on Nov. 24. The annual Teddy Bear Toss presented by The Spokesman-Review Christmas Fund will take place on Saturday, Dec. 8 versus the Kootenay ICE. Fans will look to break the franchise record of 6,767 stuffed animals thrown onto the ice after the Chiefs’ first goal, which are then donated to The Spokesman-Review Christmas Bureau and redistributed throughout the community. Numerica Credit Union, in their third season as the Chiefs’ premier banking partner, will give away 2,000 Chiefs jersey piggy banks on Saturday, Jan. 12 vs. Tri-City. A week later, the General Store will give away 5,000 jersey rally towels on General Store Buck Night & Jersey Rally Towel Giveaway as the Chiefs wear military appreciation jerseys vs. the Americans on Jan. 19. Fans can win a trip to Las Vegas in the White Claw Viva Las Vegas Trip Giveaway on Feb. 1. 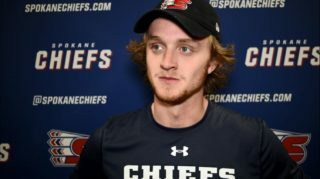 Keep an eye out at spokanechiefs.com for entry details in the weeks prior to the game. Shriners Hospitals for Children (Spokane) returns as the title sponsor of School Nights this year, including the first on Oct. 27. The second – Shriners Hospitals for Children School Night & Lunchbag Giveaway – on Feb. 22 will give the first 1,000 kids 12 & under an insulated lunchbag made to look like a Chiefs jersey. Chiefs Fight Cancer Night presented by Pizza Factory will take place on Saturday, February 23 with the Chiefs wearing special jerseys to support cancer research, support and prevention. Proceeds from the jersey auction will benefit Every Woman Can. Fans will surely mark their calendars for Coca-Cola Buck Night & Bobblehead Giveaway on Saturday, March 9 vs. Victoria, as the first 2,000 fans through the gates and all full season ticket holders will receive a Spokane Chiefs bobblehead courtesy of Coca-Cola. Bobblehead design to be announced at a later date. Finally, the regular season will wrap up on Saturday, March 16 with Miller Lite St. Paddy’s Day Jersey Night & Regular Season Finale as the Chiefs wear special St. Patrick’s Day themed jerseys to benefit Second Harvest Food Bank.